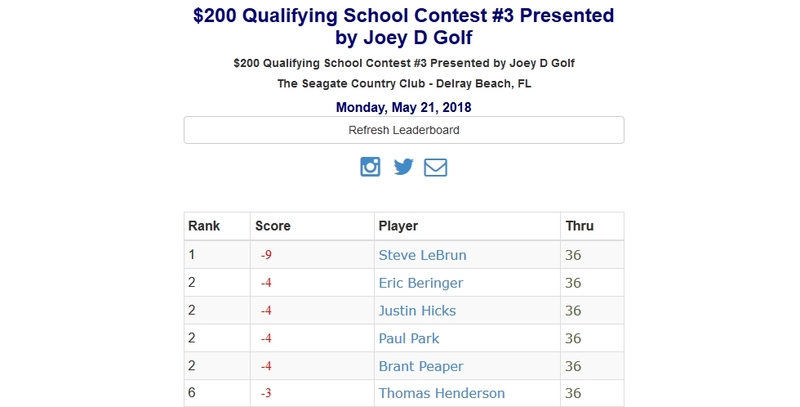 DELRAY BEACH, Fla. – Steve LeBrun from West Palm Beach, FL, fired rounds of 66-69 to win 2018 Qualifying School Contest #3. He did not make a bogey in 36 holes at Seagate Country Club. 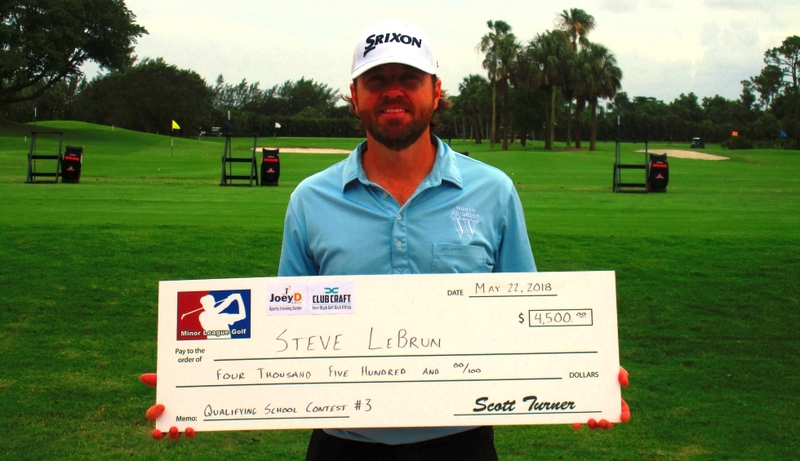 LeBrun's 9-under par total of 135 was good for a five shot win over four players at 140 including Paul Park, Justin Hicks, Eric Beringer and Brant Peaper. Hicks got off to a fast start birdying 2 of the first 4 holes to pull even with LeBrun at -6 but after a Hicks tee shot out of bounds on #9 and a double bogey, it was never close again. 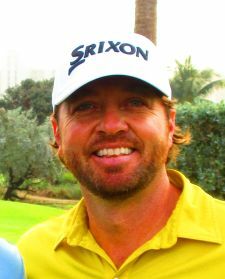 LeBrun's closest chaser ending up being Brant Peaper who got within three shots when he eagled #15 to get to -5 but a bogey on the final hole for Peaper and a birdie on #17 by LeBrun gave him a 4 shot cushion walking down #18. Congratulations Steve and good luck this year at Qualifying School. 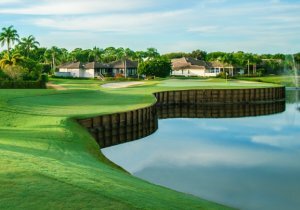 A big thank you to The Seagate Country Club for hosting and Joey D Golf and ClubCraft for sponsoring the Qualifying School Contest. Must be playing in the Seagate CC 2-Day event to participate in the Contest. The player with the lowest 2 day total score will receive $4,500 towards their Qualifying School. Winner will be reimbursed after beginning their first stage.